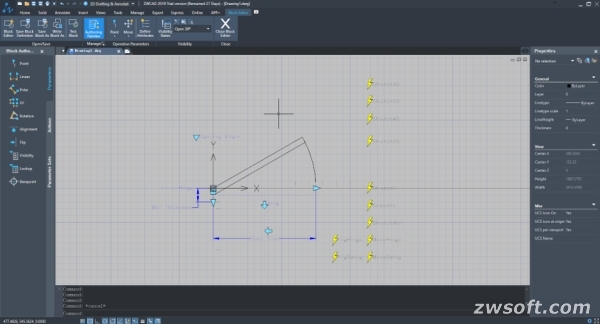 ZWCAD 2019 is now standing in the spot light with more new features and improvements, as well as notably enhanced stability and efficiency, to help you create amazing things. 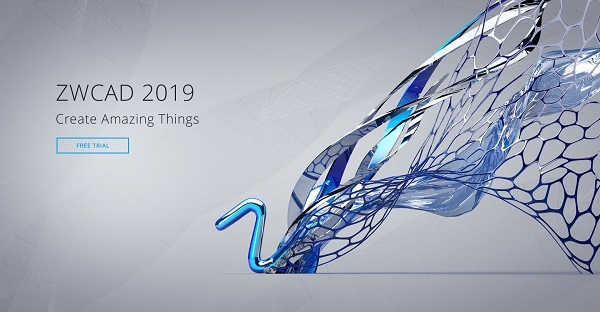 ZWCAD 2019 Official was born in this special year – the 20th anniversary of ZWSOFT. 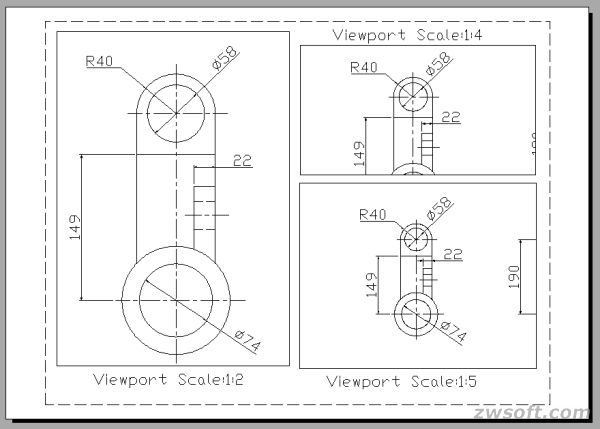 It is the fruit of ZWCAD team's ceaseless efforts for 20 years to provide reliable and powerful CAD solutions to worldwide users. 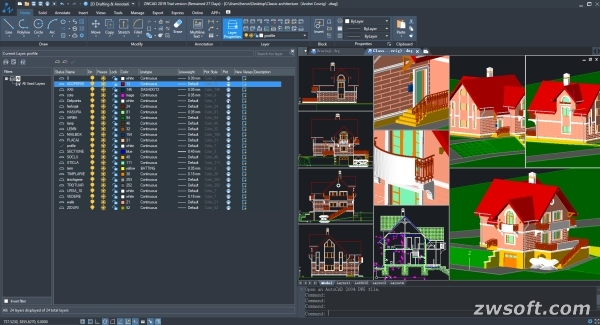 As is mentioned by Daniel Huang, ZWCAD's Product Manager in 2018 ZWCAD Europe Forum, “We have really made ZWCAD from good to great, with all the powerful new features and improvements”, let's take a look at what surprises ZWCAD 2019 has brought to us. After inserting the Dynamic Block, you can change its appearance or behavior according to the “rules” you have set. For example, if you want to make the door (Dynamic Block) below larger, you can stretch (Action) the length (Parameter) simply by dragging the grip. You may discover that if you plot a drawing with annotations to a smaller scale, the size of the annotations will also be reduced, which usually makes them too small to be recognized, bringing forth inconvenience in design communications. Now you can get rid of this trouble once and for all simply by using Annotative settings. Through turning the annotations like text, dimension, hatch, multileader, etc. 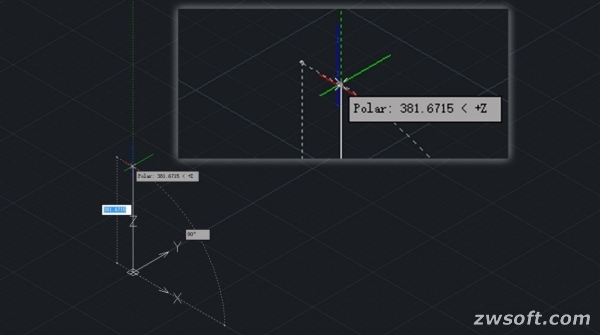 into Annotative Objects, their sizes can be adjusted automatically according to different view scales in model space or layout viewport, and thus always displayed at the right size. 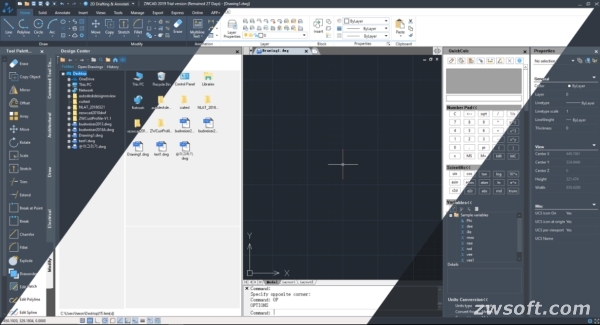 Before, when opening Layer Manager, you can only operate in its dialog box, which means that you need to open and close the it repeatedly to see how the layers have been changed in the drawing. But now, through turning the dialog box into a palette, you are able to operate in the drawing area with the Layer Manager on, and see the instant updates of layer adjustments in the drawing area, making it more convenient to deal with layers in the drawing. 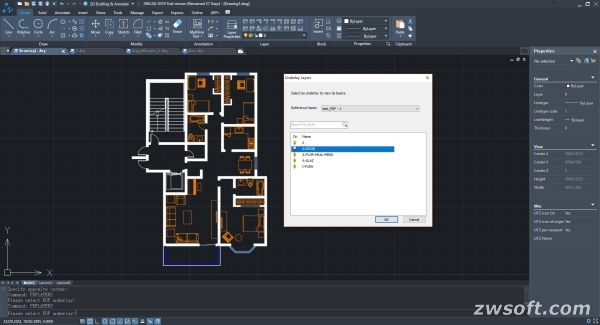 Try ZWCAD 2019 now, and keep exploring the “secrets” you may not know in it.